At the moment, I'm finding it difficult to sit down and blog. Pre-school starts tomorrow, so hopefully that will soon change. But for now, I'm finding it much easier to share photos and quick updates on instagram. If you'd like to follow along, you can find me by clicking the little camera icon over to the right. I signed up a year or two ago and then completely forgot about instagram until a sweet friend reminded me about it. 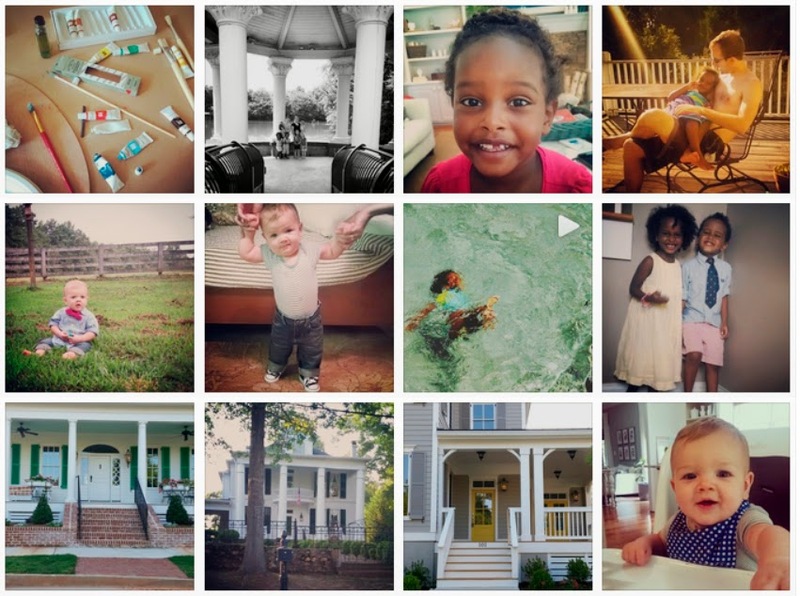 Oil painting classes for my birthday, fun with my sweet kids (and my girl turning flips in the pool), amazing homes in downtown Senoia, and my adorable Hammie! If you want to keep up with what we're doing around here, feel free to follow along. Hopefully I'll have some cute first day of school photos up soon!